At SkinSmart we offer Medical Grade Skin Peels of varying strengths applied under doctor supervision. Chemical peels remove dead skin cells from the surface of the skin and increase cell turnover thereby encouraging the growth of new, healthier skin cells. This results in an improvement in the visible signs of ageing including pigmentation, sun damage, fine lines, mild acne scars, open pores, skin texture and fine wrinkles. Chemical peels deliver a blend of nourishing and stimulating ingredients directly into the skin resulting in the gentle resurfacing of the skin, leaving smoother and younger looking skin behind. 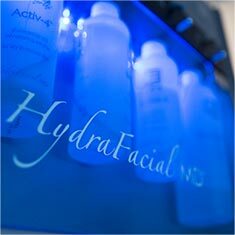 They can be used to treat tired, dull and pigmented skin restoring a fresher, more youthful appearance. Chemical peels are an affordable way to slow some of the superficial signs of ageing with minimal risk and downtime. Our skins naturally exfoliate continually replacing old skin cells with new ones on a daily basis but as we age this process slows down and dead cells can build up on our skin surface making it appear dull and congested. Chemical peels are beneficial for rejuvenating the skin by gently removing dead skin cells from the surface thereby stimulating the growth of new skin cells underneath. This helps to improve the visible signs of ageing giving one a smoother complexion, with refined pores and less pigmentation. Medical grade chemical peels can be applied to darker skin types and can often be used on skins that do not tolerate Laser treatments well. Chemical peels come in varying strengths depending on the patient’s skin type and their individual skin issues. Downtime ranges from almost nothing with a very mild peel to several days with the strongest peels. It is important to discuss this with the doctor before having a chemical peel to ensure you have planned for the following days appropriately. It is obviously important to stay out of the sun and to wear sunscreen after a peel to protect the skin as it heals and to prevent further damage. A chemical peel may result in some redness and peeling of the treated area. This should subside within a week, however some patients experience settling redness for up to a few weeks after the treatment. Chemical peels can cause treated skin to become temporarily darker (hyperpigmentation) or lighter (hypopigmentation) than the surrounding skin. Changes in skin colour are more common in people who have darker skin. These changes can be treated in various ways but usually resolve quickly without treatment. Tiny white bumps (milia) can occur on the treated area after a chemical peel while the skin heals. This can be due to the excessive use of moisturising creams on healing skin. Cold sores caused by the pre-existence of the herpes virus in the skin can result after a chemical peel particularly in the peri-oral area. If you have a history of cold sores the doctor will prescribe an antiviral medication to be taken on the morning of the procedure. It is very important not to pick or scratch at the skin during the healing process as this may result in delayed healing and occasional scarring. A chemical peel is not for everyone. A very dark complexion or a history of keloid scarring are contraindications to chemical peel treatments. As with most treatments peels are not recommended for pregnant or breast-feeding women. An initial consultation is recommended to determine that a skin peel is the best treatment for your individual skin issues. Chemical peel treatments start at $290. Packages of three peels are available for $800.